Image by, and copyright Devesh Agarwal. Used with permission. Earlier this week, Atltanta-based full service carrier Delta Air Lines and London based Virgin Atlantic Airways announced that their application for a code share and joint venture partnership on trans-Atlantic flights had been approved by antitrust authorities in both the United States and European Union. The deal, in which SkyTeam member Delta will purchase a 49% stake in Virgin Atlantic previously owned by Singapore Airlines, covers 108 routes, 91 by Delta, and 17 by Virgin Atlantic. According to the press release put out by Virgin Atlantic, the deal offers the following benefits for customers. This is all pretty standard fare for these types of joint venture agreements, though the reciprocal frequent flyer benefits are better than those for most of Delta’s partners in the SkyTeam alliance. The benefits will kick in on July 3rd, and will hopefully mark better times for Virgin Atlantic after two straight years of massive losses and increased pressure from rival British Airways at their core hub at London Heathrow. 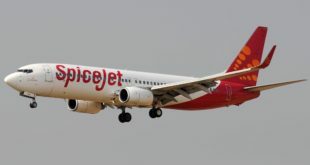 However, looking at the deal from an Indian consumer’s perspective, it adds very little to the existing offerings for both carriers in the India-USA market. Delta Air Lines currently operates a daily flight between Amsterdam and Mumbai, which is fed by its myriad services between the US and Amsterdam. The deal with Virgin Atlantic does nothing to affect the existing Delta service one way or the other. 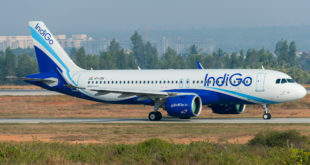 However, the deal does open up the potential for Delta to add London as an European connecting point for flights to India along with the existing Amsterdam and Paris Charles de Gaulle points, as well as for Virgin Atlantic to enhance its US-India connectivity on existing flights to and from India. However, the schedules just don’t bear this out. First of all, the Delhi flights are poorly timed to connect with the additional Delta flights in either direction. The 5:55 pm arrival into Heathrow means that there are no connections possible onto Delta flights; the last Delta departure from Heathrow is 5:10 pm. In the other direction, every Delta arrival into Heathrow is before 12:15 pm, yet the Delhi flight does not depart till 10:00 pm. That 10 hour (minimum) layover simply is not competitive with the quick connections offered by the Middle East Big 3 competition. In terms of Mumbai, the arrival into Heathrow at 7:55 am allows for relatively effective connections to New York JFK, Minneapolis, and Atlanta, but not Boston or Detroit (the switch from Terminal 4 to Terminal 3 requires passengers to clear security again at Heathrow, adding time to connections). The departure from Heathrow to Mumbai at 10:35 am allows for connections from Boston, New York JFK, and Atlanta, but not from Detroit or Minneapolis. Furthermore, these destinations already have easy access to Mumbai services via Amsterdam. So in the short term, the Delta-Virgin Atlantic tie up has limited effect on the Indian market. However, it could push Virgin Atlantic to re-time its Delhi and Mumbai operations (creating a red-eye at Delhi? ), which would only make Virgin Atlantic’s Indian presence more competitive.